The Business of Architecture in Canada is a national, panel-based, architecture symposium that brings together leading voices in architecture practice, academia and related fields, who are changing the way we see and understand architecture. 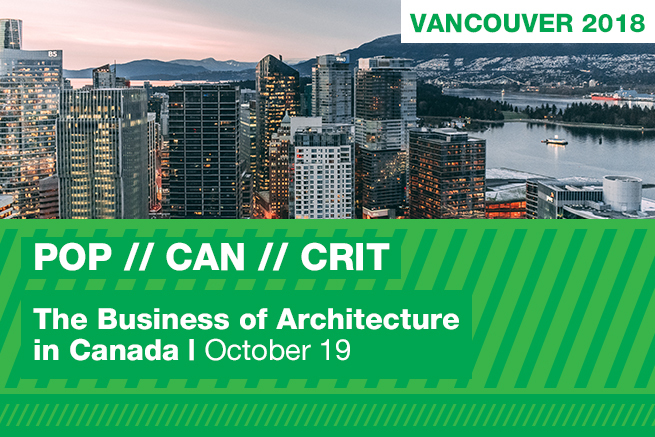 This year's event will explore the business of architecture through a series of panel discussions in a day-long symposium on October 19, 2018 in Vancouver. Panel discussions will focus on how business topics are being taught in architecture schools in Canada, how the art and business of architecture come together, how women architects are finding success as both architectural and business leaders, as well as how and whether architecture firms are succession planning - and what does that mean for the future of architecture in Canada. receive Continuing Education Learning hours. We are pleased to say that this year we will be doing a LIVE webcast of the event. So no matter where you are you can join in on the conversation. Attendees are also eligible to receive structured continuing education learning hours. Continuing Education Certificates of Attendance will be issued by the Royal Architectural Institute of Canada.